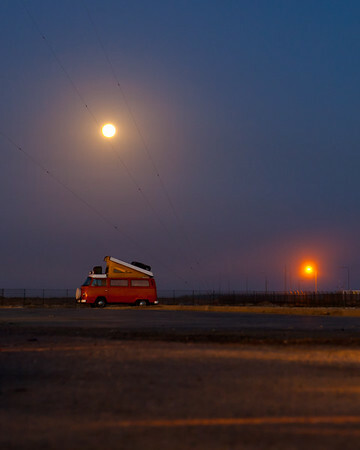 A VW van near the border of Gibraltar and Spain. 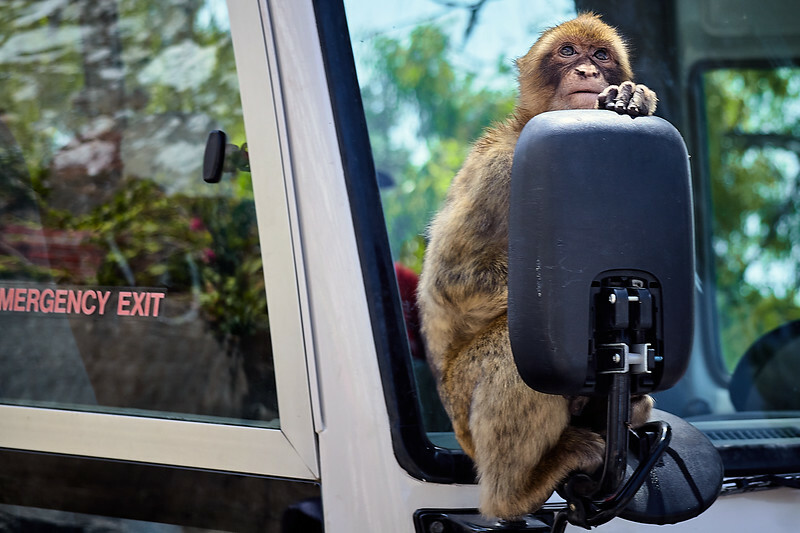 A Barbary macaque hangs on to the sideview mirror of one of the many tour buses. 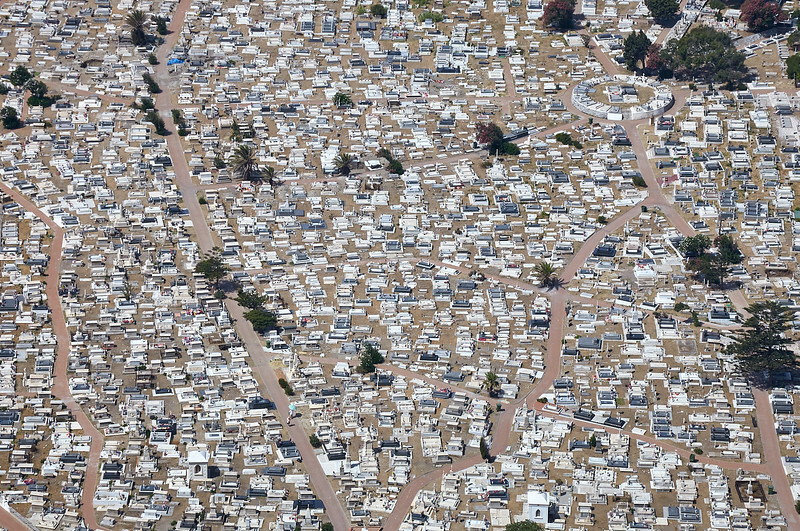 Gibraltar. 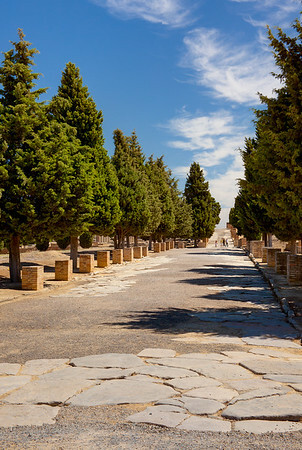 These 2,000 year-old roads still have paver stones, gutters, and storm drains running beneath them. 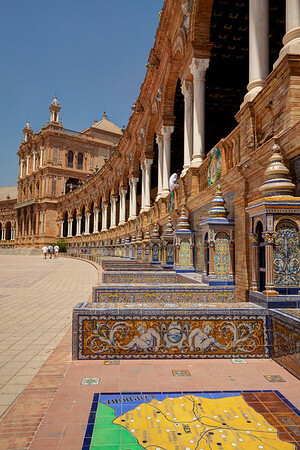 Italíca, Santiponce, Spain. 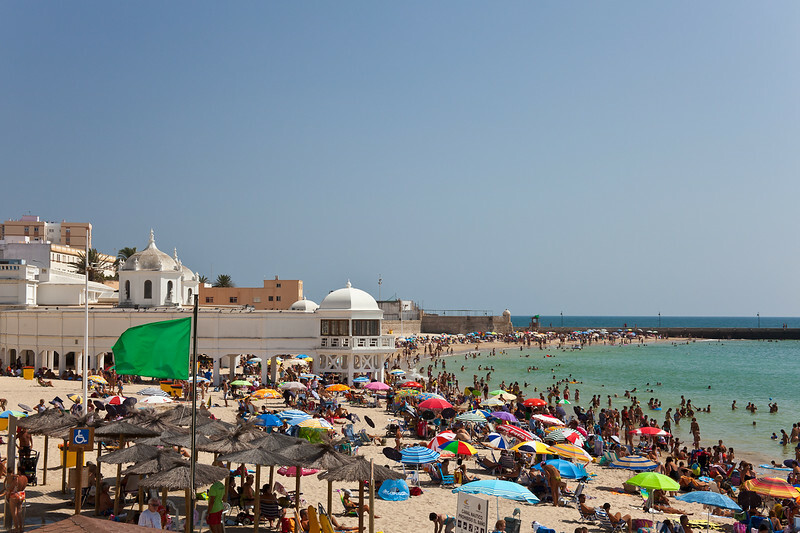 Radio towers stand behind the amphitheatre in Italíca. 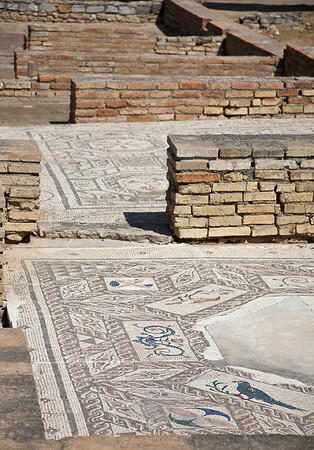 It could seat 25,000 people and was the third-largest in the Roman Empire. 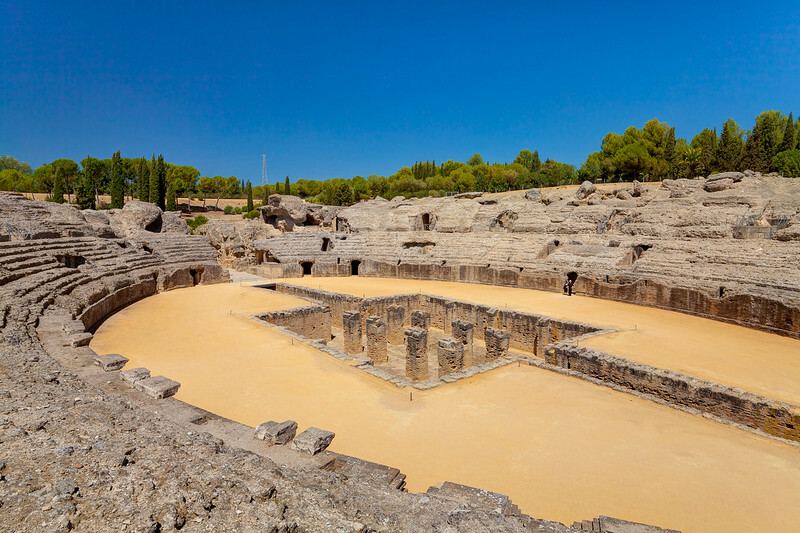 Italíca, Santiponce, Spain. 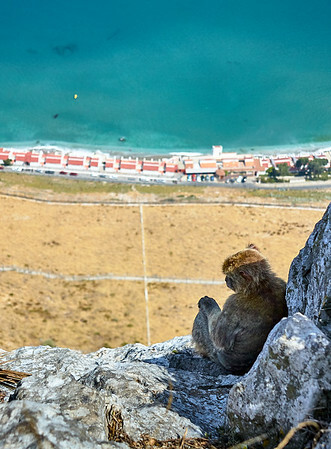 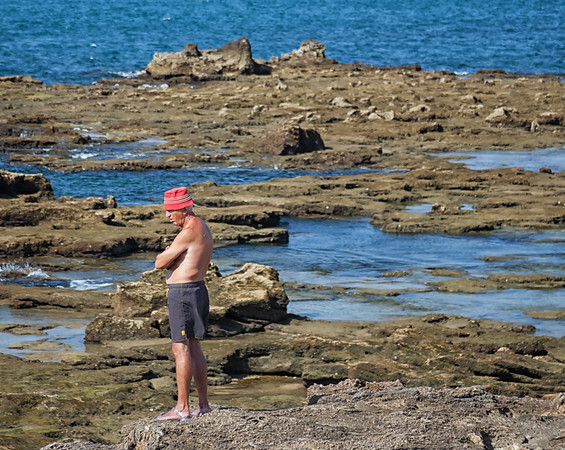 A Barbary macaque sits in the shade looking down on the beaches of Gibraltar. 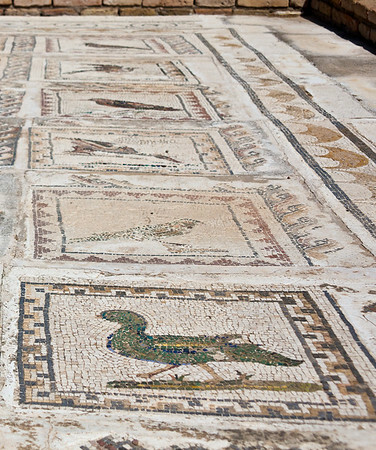 The mosaic on the floors of this old Roman house contain 35 species of birds. 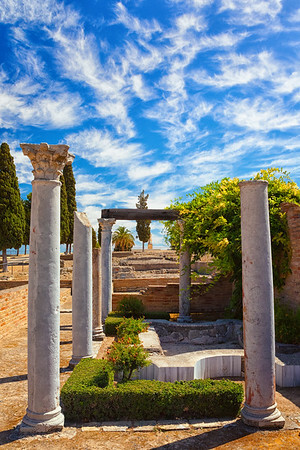 Italíca, Santiponce, Spain. 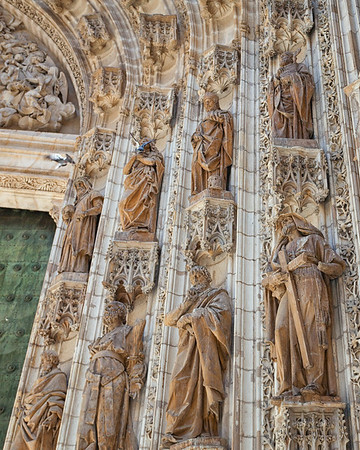 Pigeons flee from the statues surrounding an entrance to Seville Cathedral, Spain. 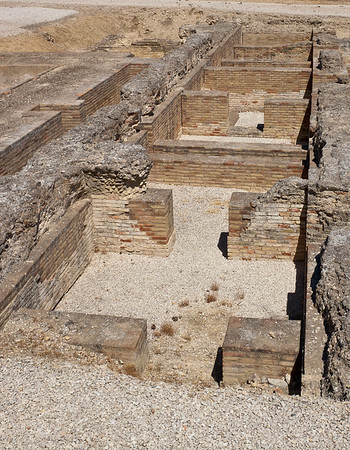 The "House of the Birds" in the old Roman city of Italíca, outside of Santiponce, Spain. 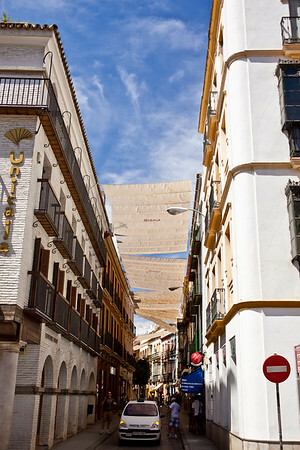 Looking down one of the narrow alleys in Seville, Spain. 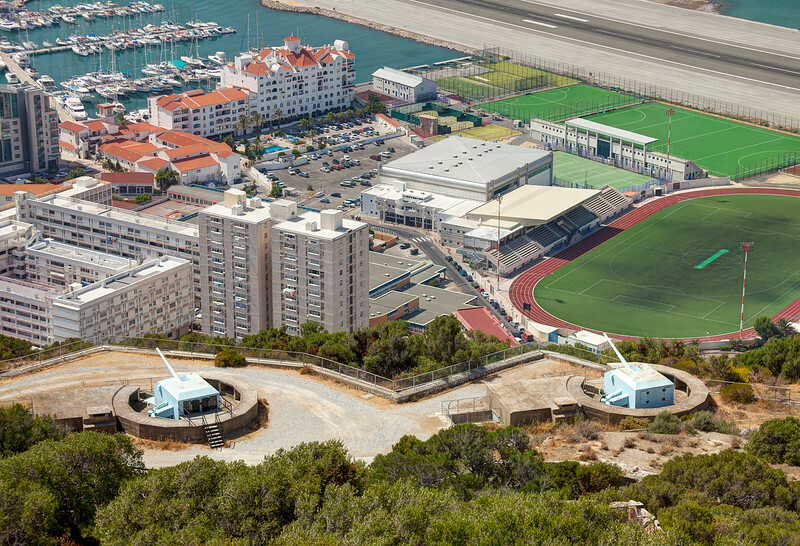 Old gun turrets sit watch over condos and soccer fields in Gibraltar.